It wasn’t our best performance of the season, far from it. I think it is fair to say we were somewhat fortunate to win the game, certainly having gone behind to a goal just over twenty minutes from the end. But Gray, who hadn’t scored in the previous four games since the opener at Hillsborough, came up with the goods. Just five minutes after the Bolton goal he got on the end of a Matt Lowton ball into the box and was denied initially only by former Burnley goalkeeper Paul Rachubka. It was a good save but the ball dropped loose for Gray to tuck it home. Then, five minutes from time he scored a real goal of the month or even season contender. Fredrik Ulvestad had replaced David Jones in the midfield and it might have even been his first touch that played the ball through for Gray. The striker’s first touch was sublime as he almost dragged it from behind him to get control, and his finish was superb, a left foot shot from just outside the box that bent like a boomerang and left Rachubka helpless. It completed a first double against Bolton in 31 years and back then we were heading for relegation to the Fourth Division. This time it is the Horwich based team who are very likely to be playing at a lower level next season, this result leaving them eight points from safety with only twelve games remaining. Plans for the Brighton trip was the main discussion topic during the short trip via the M65 and M61, including the traditional pre-match refreshment stop of course. We’ve just about got those plans in place and we were very much in place at the Macron (I do really want to call it the Reebok) in good time. This just used to be a sort of North West derby fixture for me. It has never had, and never will have, the intensity and the rivalry of games against our next opponents, and even Preston was more keenly considered a rival. That changed somewhat just over six years ago when we had the mass departure of biblical proportions led by the bloke who thought has called God, called himself Moses but behaved like Judas, the name he’s been given. Soon after that departure we arrived to see the whole stadium festooned with “Owen Coyle’s Super White Army” banners but there appeared to be no sign of him yesterday, nor the banners, and Bolton fans clearly have even stronger, bigger and more vociferous ‘Not Welcome’ signs for him than we do. It’s Neil Lennon in charge now. He’s not the most elegant on the touchline, but at least it’s not shorts with pulled up socks. All the disciples have gone too including the last of them Chris Eagles who is now deemed to be fit only to train with the under-18 squad at Bury. 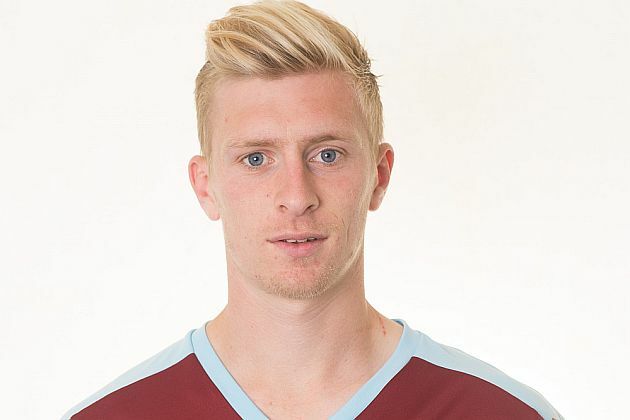 Burnley were unchanged from the side that had beaten Nottingham Forest in midweek. That meant no return for Michael Keane following his head injury against Rotherham, and with the same bench there was no first appearance in the match day squad for Lloyd Dyer. Joey Barton had the first effort at goal. It was comfortably saved by Rachubka but did signal that we might be the side to get on top. That was certainly not the case with Bolton belying their position at the bottom of the table and taking the game to us at every opportunity. I’ve heaped praise on Barton in recent weeks, none more so than a week ago. On this occasion he didn’t have his best game and neither did David Jones alongside him, and with neither Scott Arfield nor George Boyd offering much it was never going to be one of our better days. You have to be concerned in a game when Darren Pratley appears to be running the midfield and when Liam Feeney is having a field day down the left. Add Emile Heskey’s performance until he went off and we were, for long periods up against it. There were brief moments for the Clarets. One saw Boyd escape the defence only for him to delay his shot long enough for a defender to get in a block, but generally the play was moving to the far end during the first half with Bolton more than once coming close. The one saving grace was that Tom Heaton wasn’t being forced into too much work but, even so, I think the Burnley fans were delighted and relieved to go in at the interval with the score still 0-0. I think we hoped it would all change in the second half, but that, for much of it, wasn’t the case as Bolton continued to press. Twice they should have forced Heaton into some work, one from Zach Clough in particular was a poor effort that flew over the bar, closer to me on the back row of the lower tier than the goals. James Tarkowski came closest for us with a shot across goal that went wide. At the time I thought it had gone well wide of goal but the television replays show he was very, very close to getting his first Burnley goal. I think I’d just reached the point where I was going to accept a 0-0 draw when disaster struck. Jones, a player I believe to have been key to all our success in the last two Championship seasons, lost possession of the ball around thirty yards from our goal. It was quickly played to Bolton substitute Gary Madine to the right. His ball in found Feeney at the far post and he converted at the far post from close range. We aren’t used to seeing us concede a goal. The last was in the 1-1 draw at Hillsborough since when we’ve kept four clean sheets. It was 471 minutes but this one was crucial. We were now behind with not long to go. Sean Dyche very quickly made a change, replacing the ineffective Boyd with Matt Taylor who received a very warm reception from the home fans. 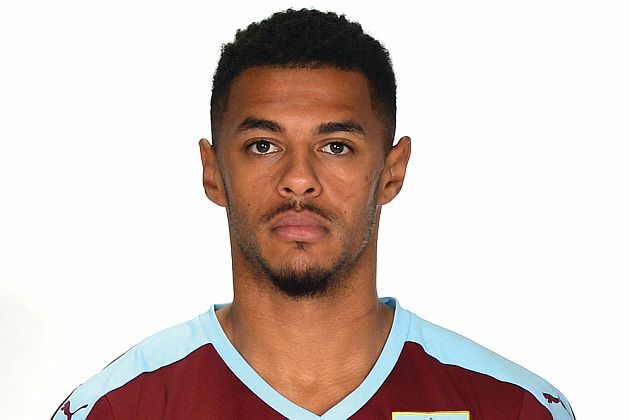 Taylor, who would prove to be the vital old head in the last few minutes of the game, was with Bolton from 2008 until 2011 when he moved to West Ham, and he’s remembered fondly. I’m not one who gives up on a game easily but even I thought, at this stage, that our chances of getting anything were remote. They did come close to an equaliser on a couple of occasions. One effort was scrambled away and Heaton was forced into a save to his right. There was some panic at times but the cool head of Taylor more than once calmed things down. Four minutes of stoppage time were added but eventually we saw it out and the points and the leadership were ours. It’s likely that we won’t be top when we next kick off. By then Hull will have played and Middlesbrough will have played twice, but it’s a moment to savour no matter how long it lasts. Gray led the procession of players handing over their shirts to fans. Barton, the one again very impressive Ben Mee, Vokes and Tarkowski all followed with a jobs worth steward unnecessarily getting involved with Tarky who was trying to do no more than hand his shirt to a young Burnley supporter. Sean Dyche often says we have to find different ways of winning. This is another way; this is winning when you don’t play well and probably don’t deserve to get the three points. Bob Paisley used to say these were the best wins of the lot and we bumped into Matt Taylor after the game who agreed totally with that sentiment. It’s a sixth away win of the season, we’re up to 65 points with 12 games remaining. Anything can happen and it’s going to be tight, but bring it on, starting with whoever it is we play next week. Bolton: Paul Rachubka, Josh Vela, Robert Holding, Derik Osede, Dean Moxey, Jay Spearing (Wellington Silva 89), Mark Davies, Darren Pratley, Zach Clough (Stephen Dobbie 82), Emile Heskey (Gary Madine 65). Subs not used: Harry Campbell, Neil Danns, Lawrie Wilson, Kaiyne Woolery. Burnley: Tom Heaton, Matt Lowton, James Tarkowski, Ben Mee, Stephen Ward, George Boyd (Matt Taylor 72), Joey Barton, David Jones (Fredrik Ulvestad 84), Scott Arfield, Sam Vokes, Andre Gray (Rouwen Hennings 90+3). Attendance: 17,484 (including 3,877 Clarets). Click HERE to leave your player ratings.